Why does it say that I have to register to see details on the projects mentioned ? ” Does this project spark your interest? Always the same ” you have to sign in to see this content ” page. Pretty frustrating as I don’t want to register just to read details on a project advertised on the main page. Is this what you’re seeing? That’s a header shown if someone is not logged into hackaday.io. We will never require people to sign in to see content. You are able to view all the content on Hackaday.io without registering. In fact, you get *extra* content if you don’t register. You get a header that asks you to log in. Every time it’s a little more offputting. I appreciate that login isn’t required, and I love how the layout scales gracefully across a range of screen sizes. But why are the text elements so huge? My desktop is 1920×1200. Why am I scrolling down to get past a few dozen words? A year or so ago Adafruit completely redesigned their site, including their blog. The new site is a lot less busy, sure–it’s basically a gallery of giant images and rudimentary synopses in a huge point size. Their blog is almost comically high-bandwidth/low-information. Who came up with this design trend? Why is hackaday.io another victim? 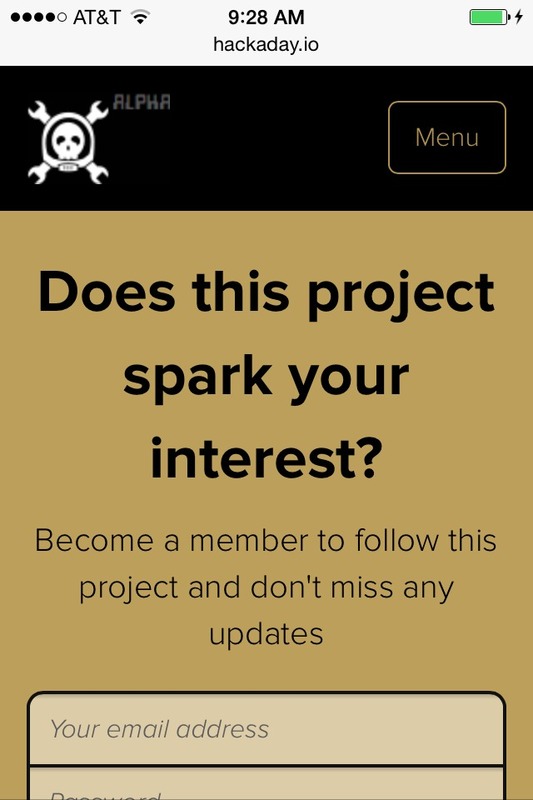 Hackaday.com looks and works great for me on both desktop and mobile clients. 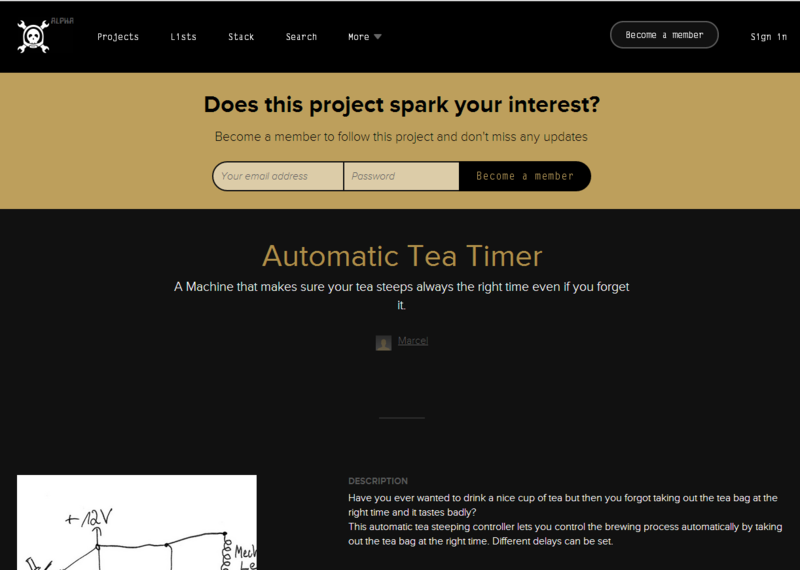 I’d love to see a less sparse, more parseable layout for hackaday.io. Go back to that page, and scroll down…. We put it back on. The most important thing is to get them out.if the garbage man puts it back on that is bonus. The solar panel looks very close but it is little bit away from the bin . Its been like that for 10 months without any problem .the old system ran for 10 years but it wasn’t as good as this new version. Oh you silly americans, in Poland I just load bags of garbage to the trunk and drive to a nearest forest. You’re not making Poland sound great here. I’m imagining forests full of garbage next to the highway. 1) It already has a pan/tilt head for the sprayer. If one was to add an IR thermometer to it, perhaps it could scan the entire grill area, instead of having to attach a bunch of wired thermocouples. 2) I do a lot of smoking on a kettle grill by putting charcoal and wood chips on one side, food on the other, and closing the lid. The temperature must be monitored, and maintained within 200-250°F; adding charcoal if it gets too low, or partially dousing some if it gets too high. Would be nice if I could mount a sprayer inside the closed lid to handle dousing. That might even let me load up extra fuel, allowed to burn at a controlled rate. It’s got electrolytes and $#it!! Water? Like out of the toilet? Ya, well I never seen plants grow out of a toilet. But what are electrolytes, do you even know? They’re what they use to make Brawndo. Ya, but why does Brawndo use electrolytes? Cause Brawndo’s got electrolytes……hahahaha lol, all time top five greatest movies. I’m pretty sure I’ve actually had aruguements like that before. Nice execution on the fifth element, but looking at the couple together on the sofa…they both have there shoes off but I was expecting to see some thermal bandages at some point. Maybe they’re not doing something right (sigh). Just two comments, 1) With the MyBins what happens if the trash monkeys don’t put the bins back on the platform? I know here I’m lucky if my bin winds up of the same friggin’ street! 2) Fifth Element Mood Lights, when it comes to the fifth element if it don’t involve a naked Milla Jovovich I just ain’t interested. It depends on where you live – in NY, we have garbage men who would probably enjoy leaving the cans off the platform. On the west coast though, there are trucks with “robotic” arms that pick up the cans. I absolutely love The Fifth Element, but I’m pretty sure it’s not everybody’s favorite Bruce Willis movie. As someone who frequently forgets to take out the garbage I really love the “my bins” project. That solar panel behind the garbage-bins look dangerously exposed to the garbage trucks arm of destruction though. Also, on my street someone would park in front of the garbage cans all the time. Bruce Willis movie…? …pfft… silly Adam, everybody knows 5th Element is a Milla Jovovich movie.